I thought I'd pop by today to let you know that I'm on the Altenew blog today focusing on the fabulous Halftone Holidays stamp set. I adore the Halftone series of stamps – they're so clever with their oh-so-easy-to-achieve ombré effects. Simply ink up the stamps et voila! Ombré, baby! 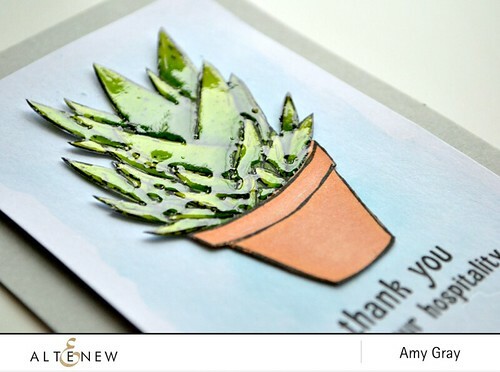 Altenew & Scrapbook Adhesives by 3L blog hop! Happy Friday! 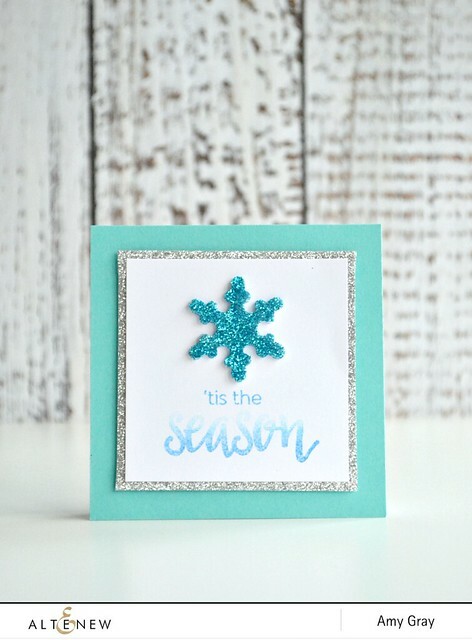 I'm kicking off the weekend here with a wintry card as part of a fun blog hop as Altenew teams up with Scrapbook Adhesives by 3L. You should have hopped along here from Stephanie Schutze. If you haven't then be sure to start out at Altenew HQ as there's prizes to be won along the way! The people at Scrapbook Adhesives by 3L kindly sent us some super-sticky goodies to play with and I immediately fell for these cool 3D Foam Snowflakes. All they need is a sprinkle of glitter to bring them to life! 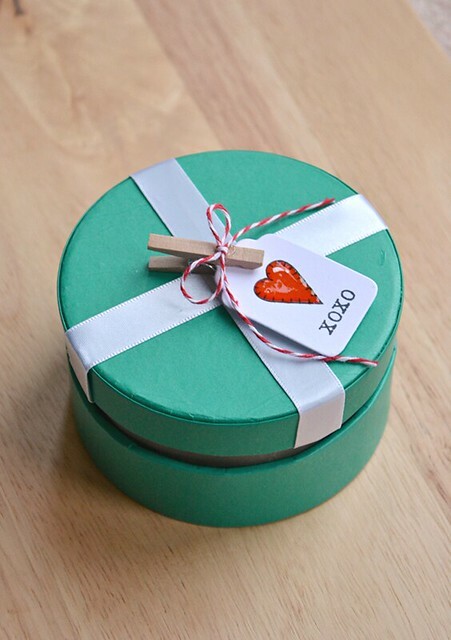 As part of the blog hop, Altenew are also offering FREE U.S shipping on retail orders placed today (November 20th). Simply enter the code 'ALTENEWFRIDAY' at the checkout. Right, I best not keep you as there's some serious blog hopping to be done. Both Altenew and Scrapbook Adhesives by 3L are giving away prizes with two $30 Altenew gift certificates and two prize packs both worth $30 each. A winner will be selected from the comments left on the blog hop so be sure to leave yours by Monday November 23 11.59pm EST and the winners will be announced the the Altenew blog and Scrapbook Adhesives by 3L blog on November 25th. Next on your hopping list is Michele Kovack. Happy hopping and have a happy weekend! Happy weekend! I'm joining in with the fabulous 25 Days of Christmas Tags event today and representing Clearly Besotted with today's super-quick (minus drying time for Glossy Accents!) tag. It's the fifth anniversary of this fantastic idea of Tracey McNeely's which showcases 25 days of wonderful tags with a whole host of companies sponsoring the event and plenty of prizes to be won. Check out the full deets here. 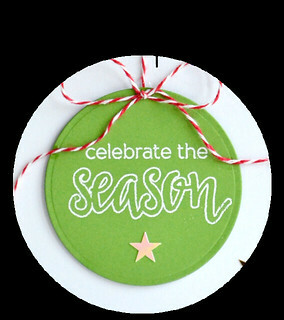 My little tag was originally created for Christmas, but I guess it could actually be used all year round. It's a tag for all seasons! I decided to keep things small, simple and sweet for my tag so I used the new Tiny Tags Die Collection and paired the stitched heart from the Stitched Mittens stamp set with a sentiment from the From Our Home stamp set. 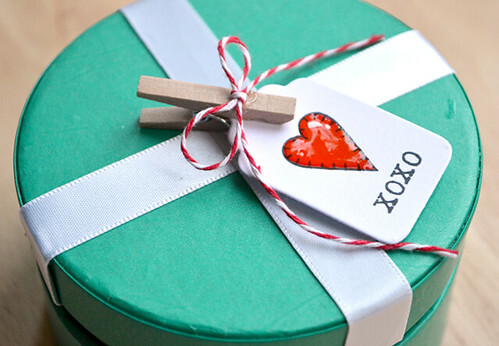 It's a real mix 'n' match of Clearly Besotted goodies! Time for me to scoot now. I've got a mountain of things to do this weekend and speaking of weekends, did you know that there's only six weekends left until Christmas. Crazy! I better get a move on and get myself organised. Eeek! 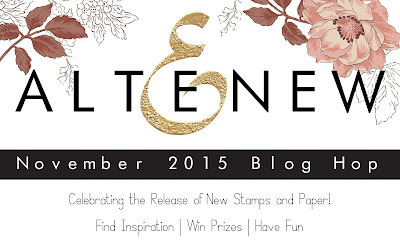 Altenew November release blog hop! Happy Friday! It's more than your average Friday here as I'm jumping on board for a good ol' blog hop to showcase Altenew's brand-new November release! It's an amazing release full of fantastic goodies with 10 stunning stamp sets and six new Altenew Speciality Papers. You can check out the full release here. For my blog hop cards I've focused on a few different sets and mix and matched a few too; I always like to stretch my stamp sets to the max and get as much use from them as possible. 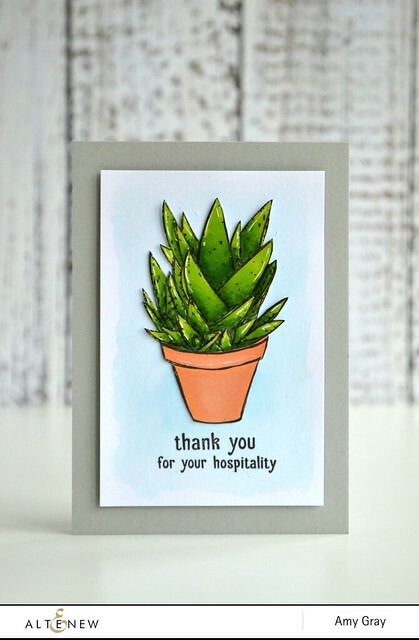 First up, here's a card featuring the new Succulents stamp set. I love how this set can cater for any green fingered friend and the sentiments are fab too, they certainly fill a gap in my sentiment stamp stash. This card is simple but took a while to create and required a lot of patience. I treated this succulent to the Glossy Accents treatment and somehow managed to resist the temptation to touch the shiny goodness until I could be sure that it had dried. My next cards features the stunning Oriental Orchid stamp set designed by May Sukyong Park for Altenew. This set is beautiful and I love that it contains not only the multi layer style of stamps to achieve detailed orchids, it also features fabulous sentiments in a gorgeous brush font. I love it. 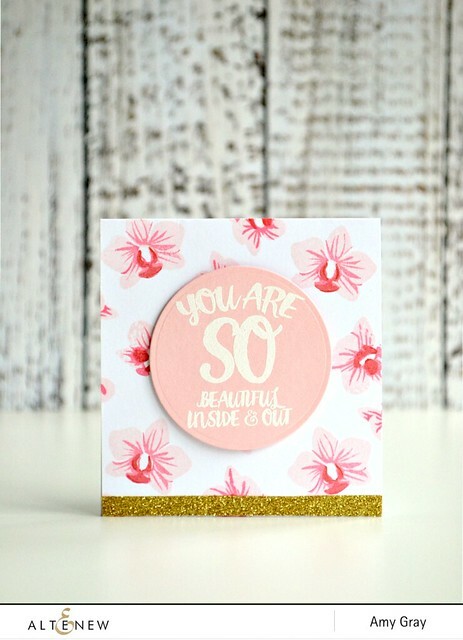 I also used a masking technique to stamp the pretty flowers from the new Beautiful Lady stamp set and paired it with a sentiment from the oh-so-useful Thinking of You stamp set. Three stamp sets on one card – I think that could be a record for me! So? Do you have a favourite must-have set from the new release? If you do then be sure to comment on this post as I have a $30 Altenew gift certificate to give away! Please leave a comment on this post before 11:59pm GMT on Sunday 15th November to be in with a chance of winning it and I'll announce the winner here on the following day. Right, that's all from me for today so I'll let you hop along. Your next stop is the amazing Marika Rahtu. Thanks so much for hopping by today. Have a great weekend! Well today's the day! It's time to get the fireworks out not only to prepare for Bonfire Night, but to celebrate Clearly Besotted's November release that's available to purchase from 10pm GMT tonight! 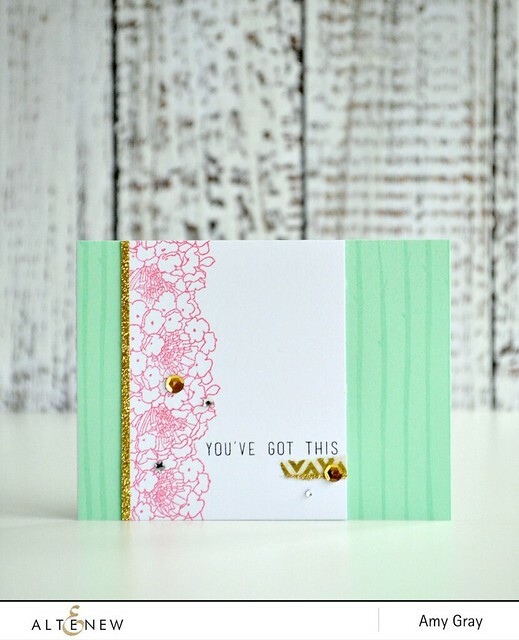 As promised, I've to two cards for today's post and I'm showing you two very different looks you can achieve with the beautiful Birch Background and Birch Background II stamps. I love that there's both a portrait and landscape set of this design; I honestly wouldn't be able to pick just one! First up is a very bold design featuring some multicoloured heat-embossing. It's super-sparkly up close but it's pretty hard to capture on a picture. 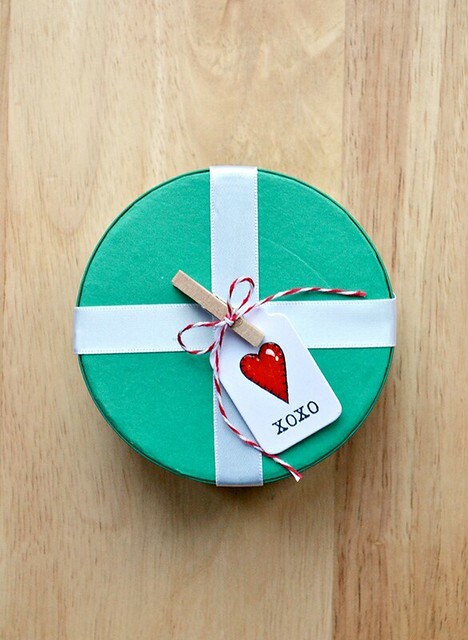 I paired this simple design with a sentiment from Sweet Sentiments Plus. So easy! Well that's all from me and all of the sneak peeks of the November release. Stephanie will be sharing the sets in full along with links to some final projects from the Design Team so pop across and get ready to make your shopping list for when the new goodies are available to purchase from 10pm GMT tonight! Happy shopping, and for those celebrating it, have a happy and safe Bonfire Night! Happy November! I'm certainly happy today as I'm finally able to join in the fun of the Clearly Besotted sneak peeks of the November release. The delay has been down to my own doofus moment of accidentally putting my SD card through the washing machine...We won't speak of it anymore but my replacement has arrived so I can finally shoot the projects I've made – hurrah! Well I'm sure you've all been enjoying the plethora of sneak peeks at CB HQ with links to even more peeks from the rest of the Design Team, but if you haven't then be sure to pop across now. You won't be disappointed! We even have the super Yoonsun Hur on board with us as a guestie this month so you won't want to miss out! I'll be back tomorrow with not one, but two cards to make up and catch up on a sneaky peek day that I've missed. I'll be making sure my new SD cards stays away from the washing machine in the future to avoid this happening again, promise!